1-Year subscription, electronic download/serial # delivered via email. MS Office 365 Personal cannot be returned and any issues will be handled directly by Microsoft Support. 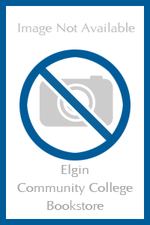 The ECC Bookstore is not able to provide any technical support. 1-Year access includes fully installed versions of Word, Excel, PowerPoint, OneNote, Outlook, Publisher, and Access.